You are here: Home / Korg Digital Pianos / Korg Grandstage review: Best Digital Stage Piano? The Korg Grandstage is a monster of a digital stage piano, but it exists in a crowded field. Some of the competition can come from within Korg’s very own lineup, like the Korg SV1. 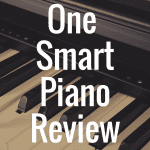 Often, the competition lies with other known piano manufacturers. 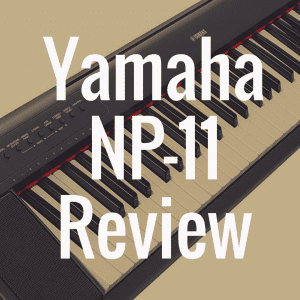 Roland has pleased many fans with its Roland RD2000; Nord’s memorable red instrument—the Nord Piano 3—has seen continued success; and Yamaha has remained as steady and consistent as ever with the Yamaha CP4. In this Korg Grandstage review, we examine exactly what you can expect from this stage piano and see if it’s worth your hard earned money. 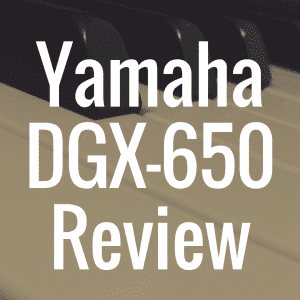 And, in order to better help you see how well it stacks up to its competitors, please use the interactive guide below to directly compare the Grandstage to some of the most popular digital stage pianos on the market. Korg Grandstage: What Do You Get? The Korg Grandstage offers potential buyers two options. 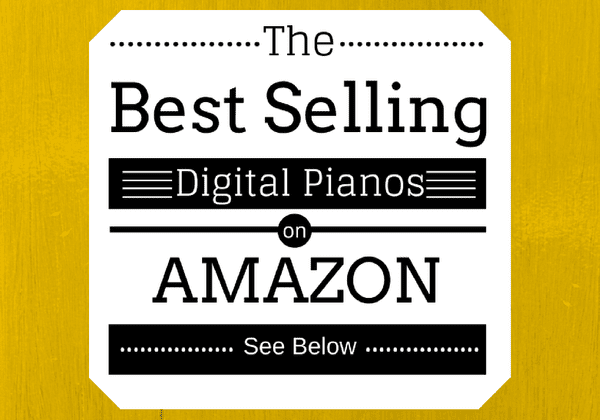 The standard option is its 88 key digital piano. But, if you can do with a few less keys at the top and bottom of the instrument in exchange for saving a little more money, you can opt for the smaller 73-key version. The first thing you’re going to notice about the Grandstage is that its a well built, quality piano. And it’s not without robust features, either. The Grandstage comes with 500 sounds in total, which include things like acoustic and grand piano voices, brass, strings, percussion, sound effects, synths and more. The Korg Grandstage costs approximately $2,199.99, depending on where you purchase it. While that’s nothing to sneeze at, it’s important to know that professional musicians will likely really enjoy this machine, as it can be used for everyday gigs. It’s a very strong all around digital piano, and with the piano weighing 44 lbs (for the 88-key version) and 37 lbs (for the 73 key version), you can feel comfortable knowing that you can take this from gig to gig without breaking your back in the process. Sure, the Grandstage isn’t the lightest piano in the world, but coming in at less than 50 lbs, it’s reasonable to believe that this is a fairly portable digital piano. How is the Piano Laid Out? So, one of the first things I always notice immediately when I look at a digital piano is how it’s configured. How is it laid out? Is it visually appealing? Does it feel like it will be simple or complicated to use? Overall, the Grandstage has a nice and pretty simple aesthetic, which is always appreciated. I think one could make a very strong argument that you really don’t need to take a look at the manual to operate this machine. It really is that easy and intuitive to use. So let’s go into some detail as to why that is. First, on the far left of the Grandstage is where you’ll find the pitch wheel and modulation. You’ll also notice that this is where the Master volume is located. On top of that, assignable switches can be utilized for inserting effects, chorus, wah, and amp distortion. Next to that is where you’ll find the dynamics knob. Now the dynamics setting here is meant to project sound a bit more when you’re playing live. This comes in handy if you’re in a band, and you’re concerned that the piano sounds coming from the piano you’re playing aren’t going to successfully reach the audience with the fullness the music deserves. The remedy that, you can use the Korg Grandstage to switch on the Dynamics, and when you turn the knob up, you’ll notice that the music you’re playing on the piano gets projected much more forward to the intended listener. In many ways, this is a “loudness” setting, but ultimately, it’s the piano giving the sound a little bit of a boost. And if you’re in a bit of a loud environment to begin with, or you feel your bandmates are drowning out the sound of your piano, you’ll be happy that the Dynamics knob is on board this piano. Next to that is where you’ll be able to find the Equalizer or EQ settings. Now the EQ is ideal when it comes to mastering for the whole keyboard. In short, the EQ setting will allow you to knock off the bass from the sound. It also gives you the ability to enhance the treble. This kind of setting is really not too dissimilar from an EQ knob you might find on an integrated amplifier you use to listen to music in your home. Let’s now move onto the sound generators. First up is the keyboard section. Here, you’ll find a knob that allows you to control things like the grand piano sounds, upright pianos, electric pianos, everyday pianos and much more. Essentially, this knob is going to be where you’ll want to go to select your piano sounds, which really do all sound great. Next to that is where you’ll find the Ensemble knob. This knob is where you go to select sounds like brass, strings, bass, synth, guitars and much more. I think it’s worth mentioning, too, how these two sound engines can work when you’re playing the Grandstage. One thing that people will of course appreciate here is that these sound engines can either be turned on independently or turned on and used together. So, what that means is that you can, for example, turn on just brass sounds. Or just electric piano sounds. Conversely, you can choose to turn on both engines together, allowing you to layer sounds on top of one another. This of course allows you the ability to have, for example, a grand piano sound that’s layered with a guitar sound. Or a synth sound. Or orchestra strings. It should also be noted that when it comes to layering, you can layer two piano sounds together or choose to layer two ensemble sounds together. So, if you’re wondering whether you could have a bass sound layered with a synth or guitar sound, worry no more. On top of that, you’ll also be able to split the keyboard, allowing you use your left hand to play one sound (a grand piano sound, for example) and your right hand to play an entirely different sound (bass sound, for example). Another really nice feature on the Grandstage is a little button labeled “Swap.” This button is located in between the two sound engine knobs. Here’s how it works: when you’ve entered Split mode on the keyboard, and when you’ve hit the “Swap” button, the Grandstage gives you the ability to literally swap the sounds that are currently activated on both sides of the keyboard. So this means that the sound you have on the left side of the piano will immediately now be on the right side of the piano. And the sound you were playing with your right hand on the right side of the piano will immediately jump over to the left side with your left hand. While not the most important feature in the world, I think it’s a nice option that’s very handy when it comes to saving you time when you’re practicing or even gigging. Instead of having to climb through the settings to swap the sides of your sounds, there is a button you can press that does it automatically. Another thing to note about the Split function is that you can assign which side of the piano you want the damper pedal. Moving on, the piano has a reverb and delay section on the front panel. This allows you to adjust the depth of the effect by simply rotating the knob up or down—very easy. Each section also provides you with an edit button, giving you simple editing abilities for a given parameter or setting. The Korg Grandstage actually comes with two very small LCD screens. They aren’t the best screens in the world given their size, but they are quite effective at displaying the basic information you need when navigating through menus and making selections. The screens give you instant feedback on selections you make within the piano itself, such as you selecting a piano or ensemble sound. On top of that, it’s nice to see that knobs and buttons will light up red, letting you know things are properly selected or deselected. Whenever an LCD screen is small, my biggest question is always about how intuitive the machine is to use and how easy it is to make important changes to settings. And it’s nice to see the Grandstage does well in this department. It’s also nice to know that the Grandstage features sound transitions that aren’t jarring to the ear. This means that there are no cut off notes when you switch from one sound to another. It’s a very smooth transition. If you’re interested in purchasing the Grandstage for the Wurlitzer or Fender Rhodes piano sounds, you’re likely to be quite a happy camper. The piano even gives you the ability to dive in and add more distortion to the amp simulator (in the edit section of the piano). 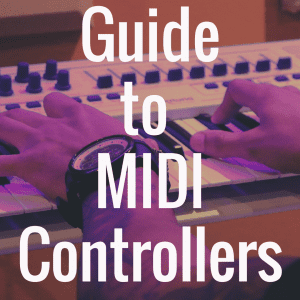 You have even more control, too, if you opt to turn on the chorus or phaser when it comes to the electric piano sounds. 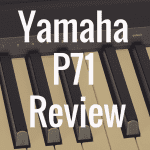 Overall, you get some very good samples of electric piano sounds, especially from the 70s. Strings on the Grandstage sound great. The sound is rich and very full of life. There’s a depth and clarity to the sound, which you’ll very much appreciate if you’re a gigging musician that’s in a band. Hearts would absolutely soar if, for example, you were to play “Viva La Vida” by Coldplay. The brass sounds are nice here too. The sound is pretty bold and present, just in case you’re worried the sound might get overtaken a bit when you perform live. Very clear and quite bold. A piano that costs over $2,000 is built for a serious working professional, and because of that, Korg made sure to give you plenty of connectivity options. Here, there are balanced outputs (XLR) on the back, as well as the very standard quarter inch jack. You can also plug in three different pedals to the Grandstage. You can have a volume expression pedal and two foot switches. This would allow you to save everything you need to your USB stick at home, and then go to another location and theoretically plug in the USB stick to another Grandstage and immediately have all of your originally saved and stored sounds available to you. You do get plastic keys with the Korg Grandstage, but that doesn’t mean the piano doesn’t play and sound very good. 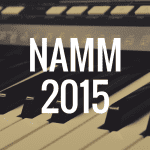 It’s definitely a worthy competitor to the Roland RD2000, Yamaha CP4, Nord Piano 3, and Kawai MP7. And really, when you enter into this price range, it really all becomes about personal taste and what key features you feel are irreplaceable.